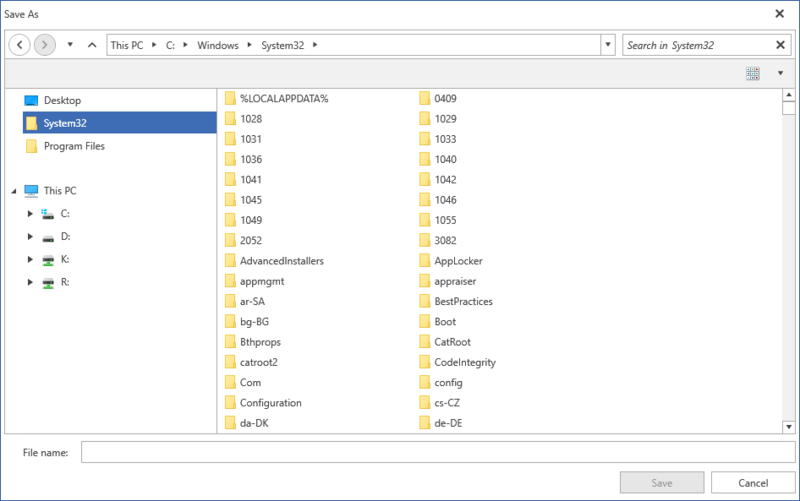 The file dialogs provide you with the option the specify a list of directories to be displayed to the left of the Main Pane above the Tree Navigation Pane similarly to Windows' Quick Access view. To enable this functionality, you should add a list of directories to the control's CustomPlaces collection. It is of type IList. Note that this collection is read-only - you can only add and/or remove items from it but you cannot replace it with another collection. The specified folders will then appear in the dialogs navigation pane.